One of the great strengths of GoThereFor is allowing video courses to be used in a small group setting without having to purchase DVDs or make sure that specialised equipment is available. 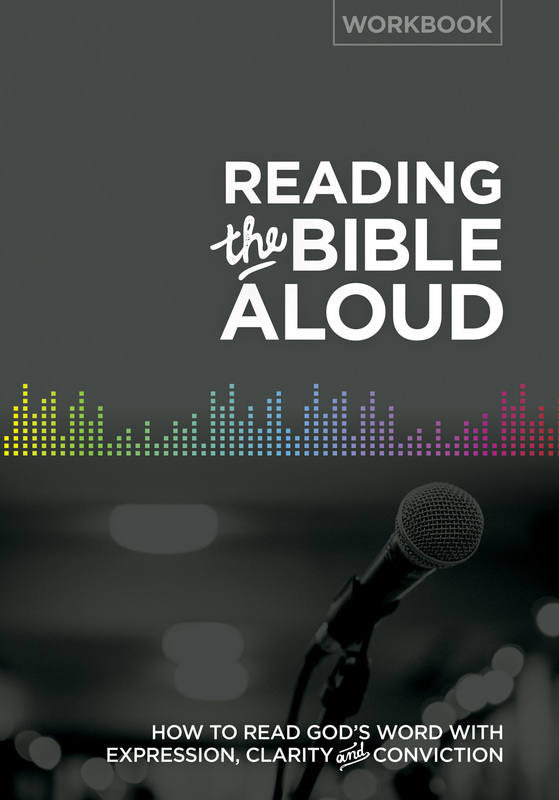 Reading the Bible Aloud seeks to change the culture of our public reading of Scripture. 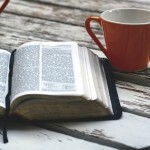 It looks at the importance of reading the Bible well in our gatherings—building a vision for Bible reading that is more helpful to the listeners, more satisfying to us as readers, and more honouring to God and his word. The course also provides valuable input and tips for learning to read with expression, clarity and conviction. 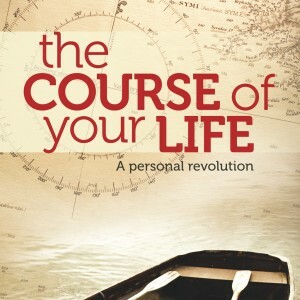 The Course of Your Life aims to revolutionize people’s understanding of who God is, what he has done in Christ, what his extraordinary plans are for the world, and how that relates to each of our lives. Ultimately, this course is a biblical framework to help you fire people with a new love and joy and enthusiasm for serving Christ as disciple-making disciples, through God's word and prayer. In a series of short sessions, this course will not only help you know what to say in response to many common questions about Christianity, but also the principles behind answering the three basic categories of all apologetic questions. 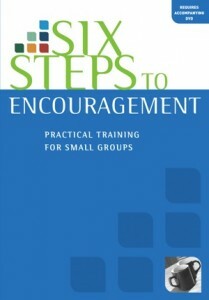 This easy-to-run, video-based course is ideal for small groups. 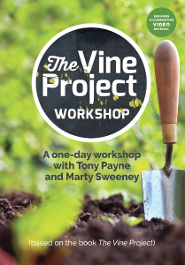 Any church leadership team can get a head start on The Vine Project journey by participating in a one-day workshop together using this workbook and the four video sessions containing a total of around four and a half hours of valuable content and guidance. how to explain the gospel of Jesus in a simple way. 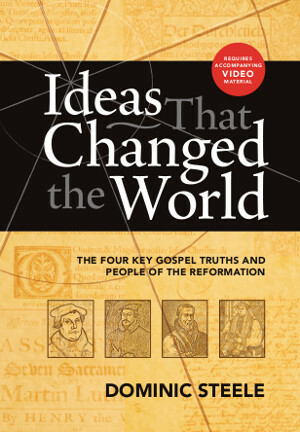 A set of four studies on the four big ideas and people of the Reformation: faith alone (Martin Luther), grace alone (John Calvin), Bible alone (William Tyndale) and Christ alone (Thomas Cranmer). Studies include video material filmed on location in Europe and England. 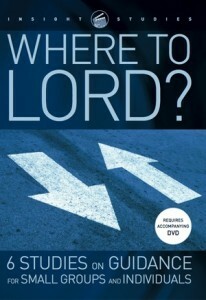 Where to, Lord? 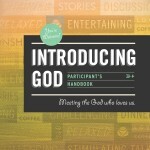 is part of an exciting series of topical Bible studies. 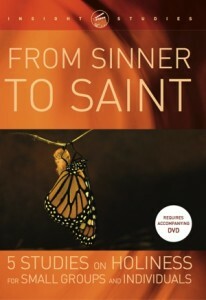 Using a mix of Bible investigation, group discussion and video input, Where to, Lord? 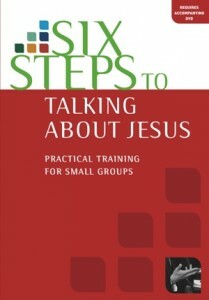 will help your group interact with what God is saying about the thorny topic of guidance. 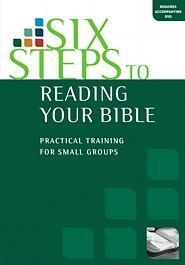 Perfect for a Bible study group looking for a refreshing change, the studies and video format are specifically designed to work together to enable any group to put together the pieces on this topic. 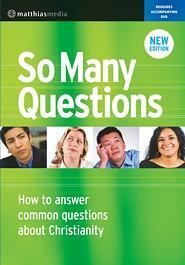 This is an excellent new tool to help you tackle an age-old question. Over these five studies you will explore what holiness is, how it is possible and how God is going to bring it about in your life. You will be challenged to persevere on the path to holiness and warned of the distractions you may encounter along the way. Finally, you'll be encouraged by the grandeur of God's plan for you in his new creation. The video sections provide extra input from well-known Bible teacher John Chapman and will help you tie together the various strands of the Bible's teaching. This video-based course is a way to share the idea of one-to-one Bible reading with a group, and to encourage others to get started with it. The course consists of four lessons that may be enjoyed by groups of any age or size. It's for adult Sunday school classes, home groups, youth groups, or just a few friends who want to give themselves to reading the Bible. 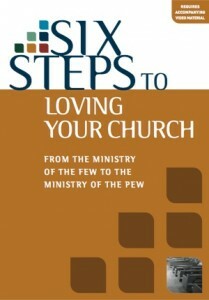 It can be used by churches to promote the idea at a half-day seminar. Or it can be used by Christians anywhere to simply share the idea informally. 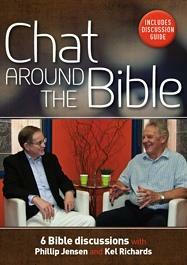 The Chat Room is a popular online TV program featuring Phillip Jensen, the Dean of Sydney at St Andrew's Cathedral, and well-known author and broadcaster Kel Richards. Each week, Phillip and Kel chat about the Bible's teaching on everything from repentance to racism, from prayer to politics. You can work your way through all six of the studies over consecutive weeks, but each topic works just as well as a stand-alone study. This may be useful when you want to do something different for a week or two in your Bible study group.